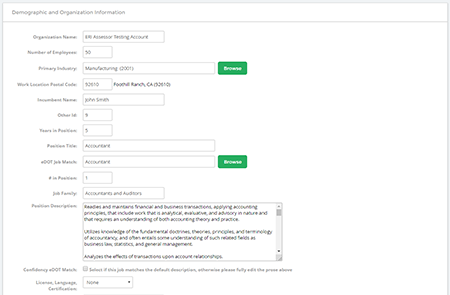 Select from over 21,000 position titles across more than 1,000 industry sectors to initiate an analysis, allowing for default comparative norms to be shown. 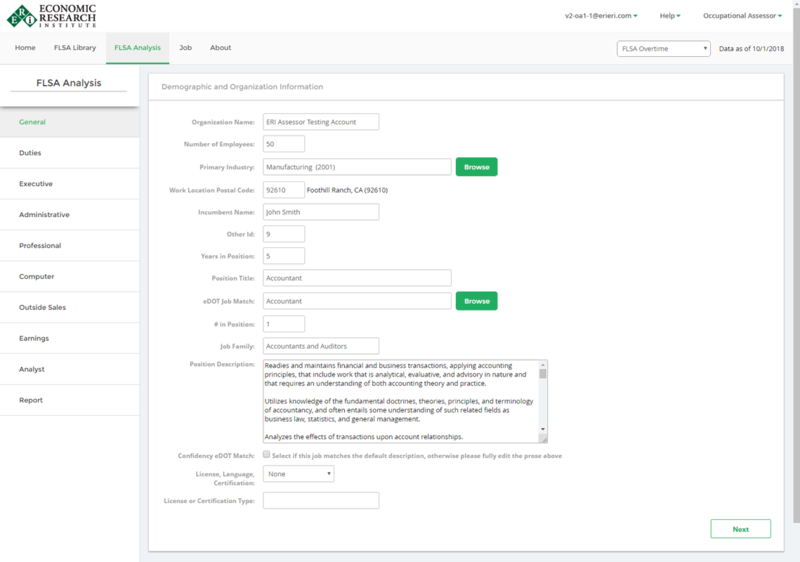 View unique exempt and non-exempt provisions at the state or federal level. Easily save, print and export analysis to PDF. Explore jobs based on criteria relating to the underlying physical, mental, and environmental demands of work. 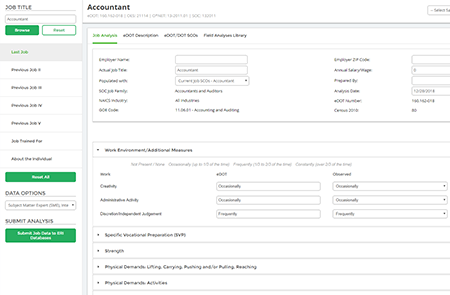 Change job measures as required to indicate an individual's limitations due to injury or other circumstances. 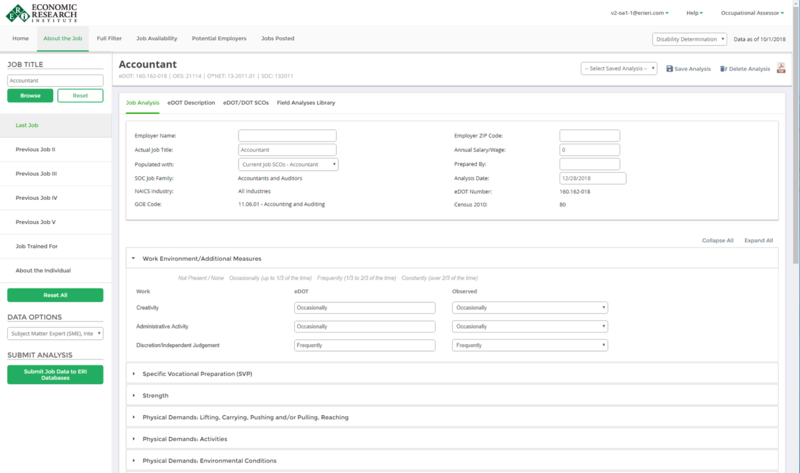 Review local employers and estimates of job availability.